Our team is like a small family. We try to encourage everyone to get to know everyone else. Unfortunately, as with any business, sometimes sales, marketing, engineering, and all the pieces in between don’t collaborate as much as they could. As founders, we appreciate every employee, but sometimes the new engineer doesn’t really know what the new sales person is doing, nor how they can help. Enter: the awesome possum. For a while, I’ve been thinking of ways to encourage people on our team to collaborate with others they normally might not collaborate with, and how to encourage people to show appreciation for the help they receive. That’s then I came up with the idea of the awesome possum. The awesome possum is a little stuffed possum. 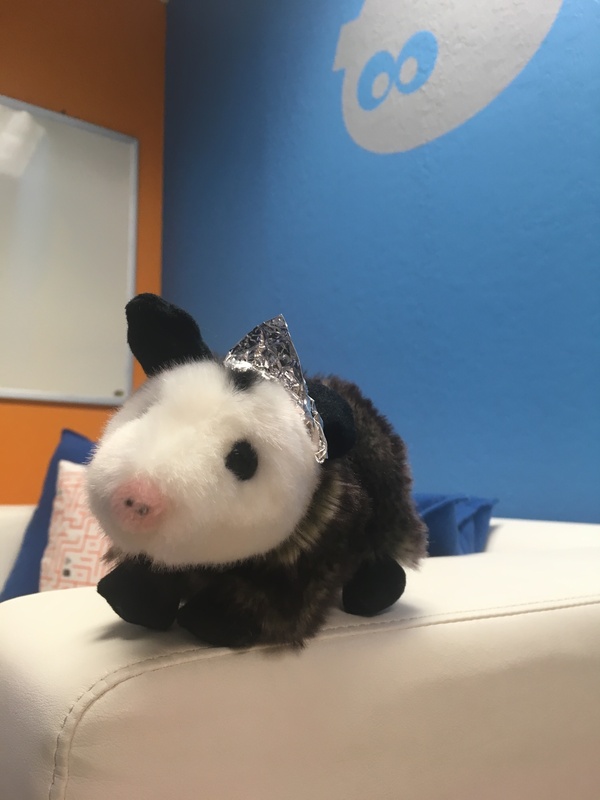 If you have the awesome possum, you pass it along to the next person who does something awesome (out of their job scope or truly exemplifying a Tinfoil value) for you or someone else. They, in turn, pass it along. There’s no time limit for holding the possum, so you could have it for a minute or a month. When I first showed up with the awesome possum everybody laughed. Now, he’s dressed more dapperly than I am and always in a new Tinfoil hat. It might be a small thing, but it’s just one way for each of us to show appreciation across the team. There’s a lot of joy when the possum ends up at the other end of the office, circulating amongst a new team. A little out-of-the-box thinking goes a long way. What great hacks have you implemented on your team to encourage collaboration or appreciation? I’d love to hear them!